Susan Patron’s newest book (2012) is “Behind the Masks,” a historical novel in Scholastic’s “Dear America” series. 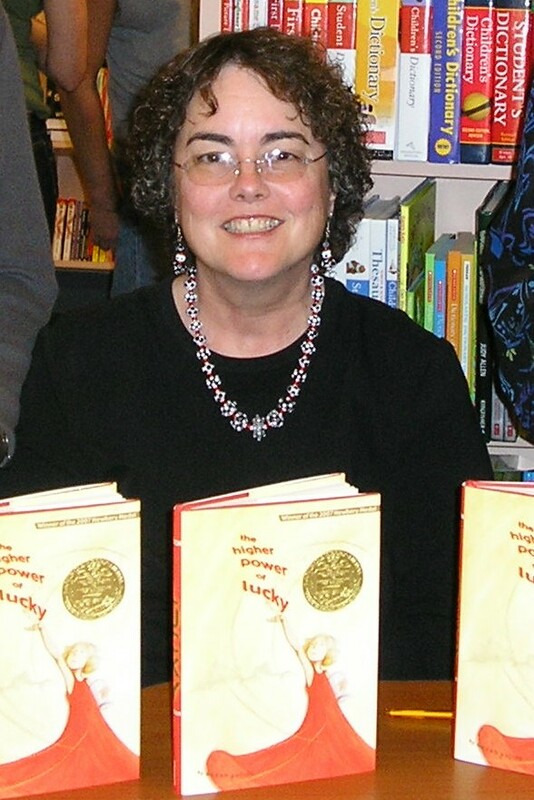 In 2011 “Lucky Breaks” was published, the final book in her Hard Pan trilogy which began with “The Higher Power of Lucky,” the 2007 Newbery Medal winner. She is also the author of “Maybe Yes, Maybe No, Maybe” and four picture books. Susan has spent most of her life at the Los Angeles Public Library, both as a child and an adult. She retired from her position as the library’s Juvenile Materials Collection Development Manager in 2007 and now serves on the Advisory Board of the Society of Children’s Book Writers and Illustrators. She spends a lot of time daydreaming, tries hard (but usually fails) to conjugate French verbs correctly, and collects odd objects made from recycled materials. Susan, her husband, René, and their bilingual dog live in Los Angeles and in a cabin in the high desert of the Eastern Sierras.